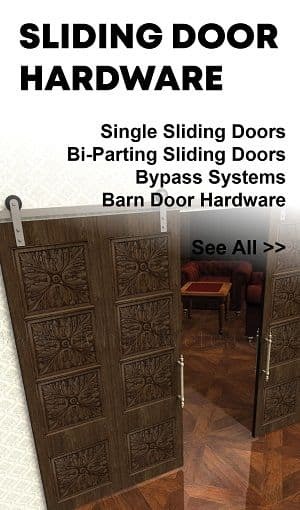 Adjustable Door Gaskets have the advantage of being adjusted if your door slightly warps, as is natural with wooden doors, or gets misaligned due to poor installation. 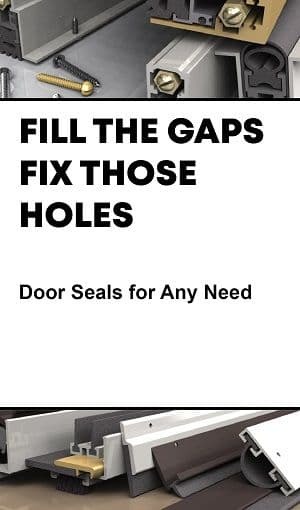 Our high quality door gaskets are easily adjustable with the turn of a screw driver to ensure a solid seal at all times. You can use the search filter on the left hand panel to narrow down your search. Need help choosing? See What Is a Door Gasket and Which is Correct for Me? QUICKSHIP ITEM - This high quality adjustable gasket will effectively seal any gaps around door jambs and header. 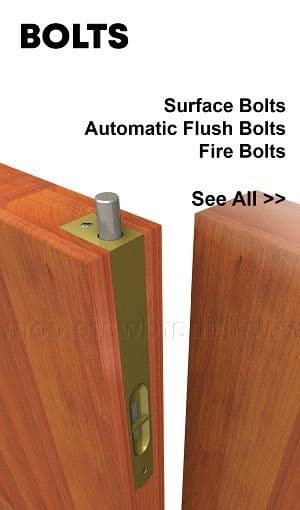 This gasket is easily adjustable with the turn of a screw driver, allowing you to keep a proper seal even once the door shifts and warps, due to natural causes. 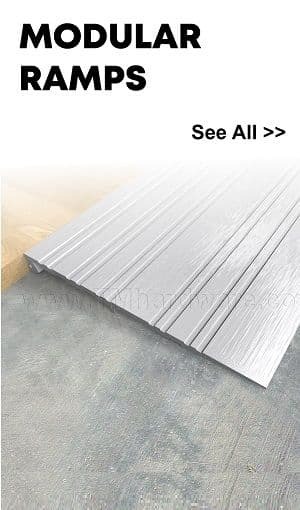 It is available in two finishes and 36" Header and 84" Jamb sets. QUICKSHIP ITEM - Our Best Selling Heavy Duty Adjustable Door Gasket. This high quality gasket provides consistent head and jamb protection. 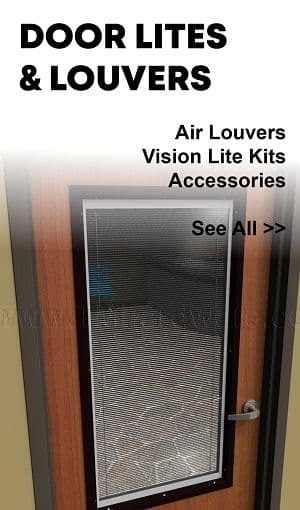 It is high sound rated, prevents air infiltration and is smoke and fire rated. It can be easily adjusted with a screwdriver if natural shifting of the door frame occurs. 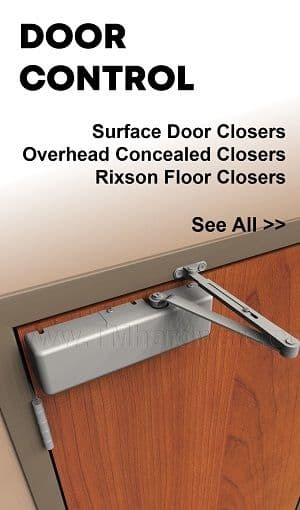 Available in two finishes and 36" Header and 84" Jamb set with a straight edge. This Zero #870 high quality adjustable gasket will effectively seal any gaps around door jambs and header. 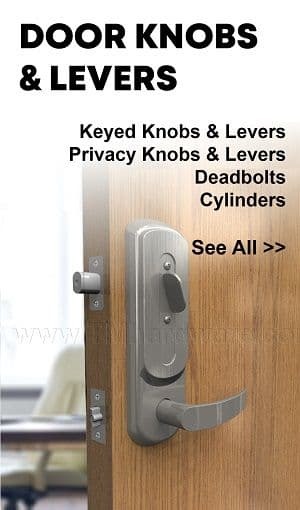 This gasket is easily adjustable with the turn of a screw driver, allowing you to keep a proper seal even once the door shifts and warps, due to natural causes. It is available in two finishes and is custom cut to size. 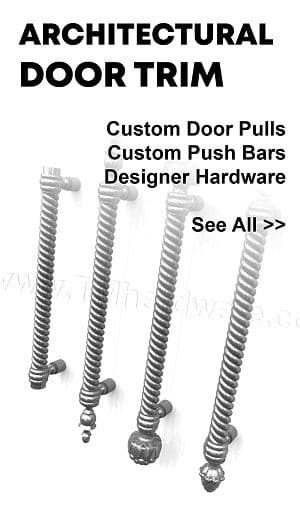 Stock sizes - Sets of 36" Header and two 84" Jambs are available to ship within 1 business day. Click here for our Quick Ship TMH Door Gasket with Adjustable Neoprene Seal. 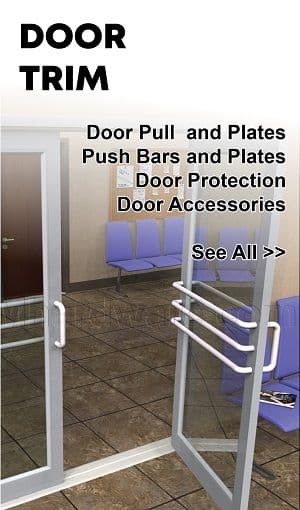 Zero #770 is Our Best Selling Heavy Duty Adjustable Door Gasket. 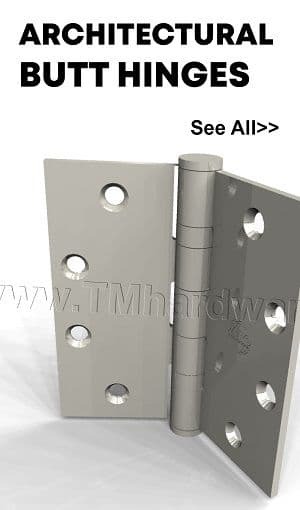 This high quality gasket provides consistent head and jamb protection. 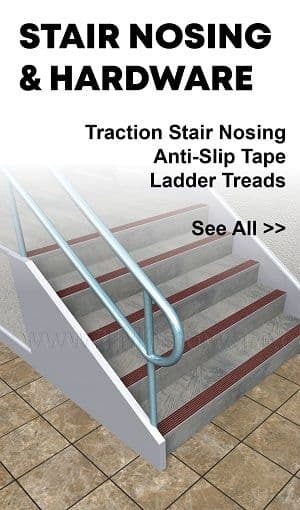 It is high sound rated, prevents air infiltration and is smoke and fire rated. It can be easily adjusted with a screwdriver if natural shifting of the door frame occurs. Available in four variations and can be custom cut to size. 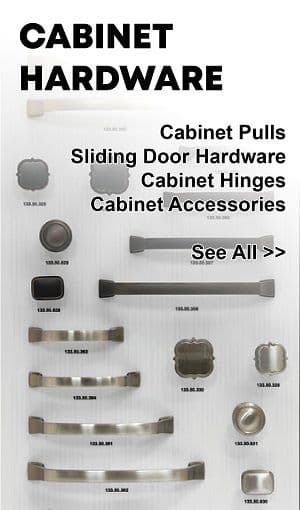 Available in Stainless Steel which is very popular in Cleanrooms and other sterile applications. NGP 141P Door Gasket is fitted with a spring adjustable .1875" polypropylene pile seal, which adjusts automatically to the door movement. Casing measures 1.0625" in height. Available in two anodized finishes and length is custom cut to size. NGP 141N Door Gasket is fitted with a spring adjustable .3125" neoprene seal, which adjusts automatically to the door movement. Casing measures 1.0625" in height. Available in two anodized finishes and length is custom cut to size. NGP 141S Door Gasket is fitted with a spring adjustable .3125" silicone seal, which adjusts automatically to the door movement. Casing measures 1.0625" in height. Available in two anodized finishes and length is custom cut to size. NGP 3038N Door Gasket is fitted with a spring adjustable .25" neoprene seal, which adjusts automatically to the door movement. Casing measures 1.25" in height. Available in three anodized finishes and length is custom cut to size. NGP 303N Door Gasket is fitted with a spring adjustable .25" neoprene seal, which adjusts automatically to the door movement. Casing measures 1.25" in height. Available in three anodized finishes and length is custom cut to size. NGP 304N Door Gasket is fitted with a spring adjustable .375" neoprene seal, which adjusts automatically to the door movement. Casing measures 1.6875" in height. Available in three anodized finishes and length is custom cut to size. This Zero #170 door gasket sound seal provides heavy duty head and jamb protection. 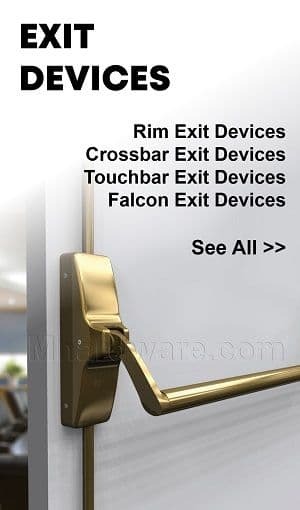 It is fitted with a closed-cell sponge neoprene seal that is easily adjustable by screw driver if natural shifting of the door frame occurs. It is soundproof, smoke and fire rated. Comes in three finishes and is custom cut to size. This Zero #871 Door Gasket is fitted with a polypropylene brush and fin. 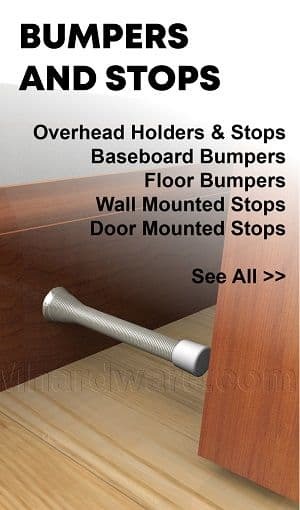 It provides great head and jamb protection and is adjustable, ensuring full protection in the event of your door shifting. It provides a firm seal, is extremely durable and comes in two anodized finishes. Length is custom cut to size. Wanted to let you know the wheelchair threshold has been installed; looks great and is functional. 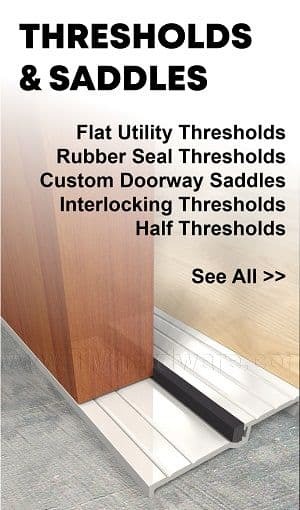 We are so happy and pleased with how the threshold looks in our front room. Thank you for working with us.